Zodwa Wabantu’s last night show causes a stir: Pics and Video. 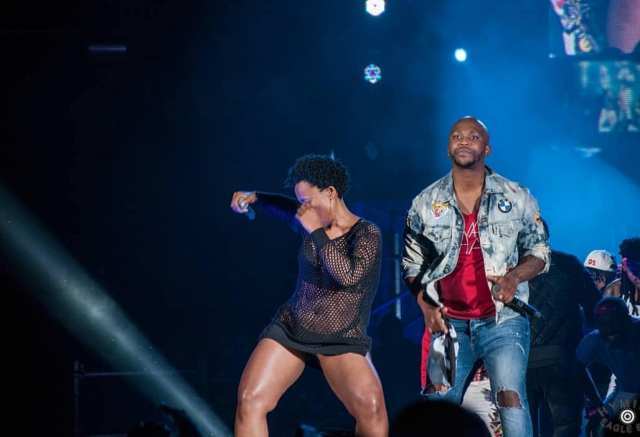 As always Zodwa gives her patrons what they want to see and she delivered again as she burnt the whole place down with her electric performance in her last night’s performance. She showed that she is the Queen of Vosho and there is no stopping her at the moment. The star had her fans go crazy as she put an electric performance to remember for a lifetime. If you are one of Zodwa’s fans then you will be happy to see this picture below and the video too. This picture has caused chaos on social media and everybody is talking about it. She truly knows how to keep her fans on their toes. Keep up doing what you are good at sisi we all love and support you.